When shopping for milk there are myriad options: organic, non-organic, grass fed, homogenized, non-homogenized, ultra-pasteurized, low temperature pasteurized, etc. The prices are all over the map, ranging (near me in Brooklyn, NY, US) from $1.09 to $4.00 per quart. Apart from animal welfare issues, which are important, there is the issue of taste. Do any of these techniques of raising cows, obtaining, and processing their milk make a difference in how the end product tastes? I decided to find out. I invited a few friends over for an informal, unofficial, thoroughly unscientific, blind tasting of six different brands of whole milk readily available at shops and farmers’ markets near me. I thought it was important to do a blind tasting because studies have shown that knowing what you’re drinking affects the outcome. We are psychologically wired to believe that more expensive things taste better. One person (it wasn’t me) stayed in the kitchen with the milk containers and brought out samples in nondescript cups labeled with letters of the alphabet. The non-homogenized milks were shaken before pouring. We didn’t discuss our thoughts during the tasting to avoid influencing each other’s opinions. The identities of the milks were not unveiled until we had completed the tasting, at which time, we dug into a plate of freshly baked chocolate chip cookies. Going into this I wasn’t really sure we would perceive much difference at all between the milks. We tried to treat it like wine or cheese, smelling, tasting, and thinking about mouth feel and aftertaste. It turns out, I had nothing to worry about, there were lots of differences. Some milks were watery feeling in the mouth while others were rich and luxurious. A couple had a slight refrigerator taste which was surprising since they were all bought fresh that morning and had just been opened for the tasting. Some had a “nose,” to use the wine term, others did not at all. The actual flavor varied as well, from our winner which was quite distinctive, through the others which ranged from “yup, tastes like milk,” to bland and watery. Our little experiment yielded some very interesting results. All of us agreed unequivocally on the number one milk. It smelled and tasted significantly different, and better, than any of the others. It was rich and creamy and had more body. Its flavor reminded me more of pudding than milk, quite luscious and sweet. The majority of tasters also agreed on a group of three milks which they placed in the middle of the pack, in slightly different orders, and then two at the bottom. Natural by Nature organic, grass fed, homogenized, low temperature pasteurized milk ($4.99 per half gallon). They also sell non-homogenized milk but it was not available at my store. The milk comes from small Amish and Mennonite family farms in Lancaster County, Pennsylvania. They are members of the Lancaster Organic Farmers Cooperative which as of 2006 had 40 farms. Their cows graze all year round, but in winter when grass is not as plentiful they also eat organic hay, organic haylage (fermented alfalfa or grass) and a small amount of organic grain. This milk was head and shoulders above the others with a rich mouth feel and complex flavor, the word “terroir” came up in the discussion. Trader Joe’s Organic Milk ($3.69 per half gallon). It says on the packaging that Trader Joe’s sources their milk regionally. I contacted them to ask about the dairies used to supply milk to New York City and was told they do not discuss their sources. Milk Thistle Farm organic, grass fed, non-homogenized, low temperature pasteurized milk ($4.00 per quart plus a $1 refundable bottle deposit). The cows graze freely on pasture during the growing season and their diet is supplemented with organic grain. In winter they eat hay grown on the farm. The farmers at Milk Thistle are also practitioners of biodynamics, a system of agriculture based on the work of Rudolph Steiner. Organic Valley organic, homogenized, ultra-pasteurized milk ($3.29 per quart). They offer non-ultra-pasteurized milk in half gallons but not in quarts and non-homogenized milk in half gallon size, neither of these were available at my store. Organic Valley is a cooperative of over 1400 organic farms across the US. While the milk is not labeled “grass fed,” Organic Valley requires their farmers to abide by their Pasture Policy which is more stringent than the US Department of Agriculture (USDA) organic standard (more on that later). Ronnybrook organic, grass fed, non-homogenized, low temperature pasteurized milk ($2.25 per quart plus a $1.50 refundable bottle deposit). According to the farm’s web site, the cows’ primary diet is pasture for spring, summer and fall and they eat hay that is grown on the farm in the winter (emphasis mine). It does not say if the cows’ diet is supplemented with grain. Tuscan Dairy Farms non-organic, pasteurized, milk ($1.09 per quart). This is standard supermarket milk in New York City. The milk comes from over 200 farms in New York, New Jersey, and Pennsylvania. Based on our completely unscientific experiment, it seems that the dairying techniques which affect flavor most are organic certification, homogenization, and maybe grass feeding. We had only one non-organic milk in the tasting and it was consistently rated last. If I were to do it over I would have tried to include another one for comparison. The USDA doesn’t make it easy to find out exactly what their official requirements are for a dairy to be certified as organic. I spent some time digging through mind-numbing regulations and it seems to me the most relevant parts of the rules for this discussion are the following: The cows must be fed 100% organic feed (notice how it doesn’t say what the feed should be), they cannot be treated with antibiotics or growth hormones, and they must have access to pasture. That word “access” can be interpreted in many different ways, and some larger organic operations have been heavily criticized for the treatment of their cows. As an inveterate romantic, I like the idea of non-homogenized milk because it harkens back to the days of the milkman, and glass bottles where you could see the cream on top. 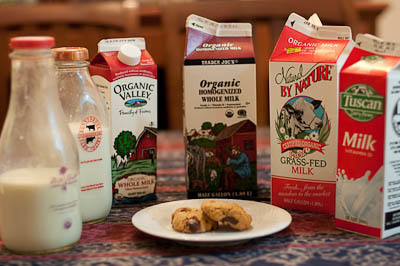 However, our blind tasters (myself included) put both of the non-homogenized milks lower than I would have expected. Disclosure: I’ve been buying Ronnybrook milk at my farmers’ market for years and always thought it was very good. Perhaps the fact that all of the tasters, including me, grew up on homogenized milk influenced our preferences? Some claim that the homogenization process is not good for your health and may be the source of an increase in dairy allergies, but so far there is no scientific evidence to back that up. Finally, it’s important to know there is no “official” definition of “grass fed” as far as the USDA is concerned, so seeing that description on your milk label means, well, we don’t know what it means. Sometimes you can contact the dairy to find out exactly what their practices are, as I tried to do with these milks. But, they won’t all tell you and even if they do, I’m not a dairy farmer, so without lots of extra education, how am I to judge which practices are truly better? Isn’t that what the USDA is supposed to be doing? I’d like to believe the farmers behind the Natural by Nature milk are doing something different, something better for their cows — it certainly tastes like they are — but it’s difficult to know. In 2008 the USDA came out with a proposed rules change to the National Organic Program (scroll all the way to the bottom for a summary) that, among other things, would not allow dairy farmers to “prevent, withhold, restrain, or otherwise restrict animals from being outdoors” except under a very narrow set of circumstances. The proposed rules also require that at least 30% of dairy animals’ “dry matter intake” come from grass. Even if passed, these rules still would not define “grass fed,” they would only clarify the pasture practice requirements for certified organic dairies. The public comment period on these proposed rules closed in December, 2008 and as far as I can tell, nothing further has been done. Recently I ran across this wonderful collection of genuine traditional Irish recipes (no green food coloring here!) which of course included soft boiled eggs. It got me thinking that I should try making this time honored breakfast at home. How could I have waited so long? This is one of the easiest breakfasts I’ve ever made. No messy pans to clean up, and it takes a total of about 5 minutes! Better yet, the fact that the egg is still in it’s shell when served forces you to eat slowly, giving your stomach a chance to tell your brain that it is full. Surprisingly, one egg and one slice of buttered toast is very satisfying and sticks with me right through to lunch at the cost of only about 198 calories. 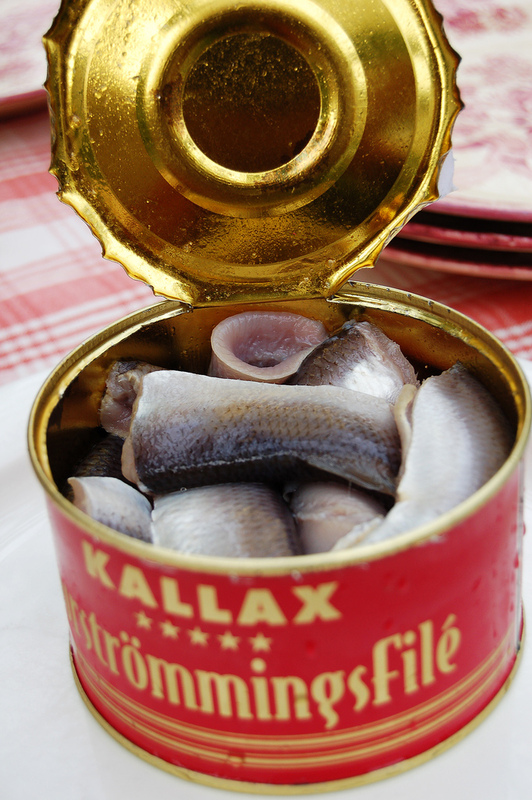 I know many people worry about the risk on contracting Salmonella from raw or undercooked (i.e. soft boiled) eggs. The Centers for Disease Control (CDC) estimates that 1 in every 10,000 eggs may be contaminated with Salmonella and that 1 in every 50 “average consumers” could be exposed to a contaminated egg each year. I think the best way to combat this is by not being an “average consumer.” Before factory farming, Salmonella was not a wide spread problem in this country. If you buy your eggs from farmers who raise their chickens the way your great-grandmother did, you will significantly lower your risk of being exposed to Salmonella. I buy eggs from Tello’s Green Farm stand at at the Grand Army Plaza Greenmarket in Brooklyn. Not only are these chickens organic, they have no cages whatsoever, roaming around the Tello’s 5 acres in Red Hook, NY scratching for grubs and taking baths in the dust, just as my great-grandmother’s chickens did (yes, my great-grandmother, really did raise chickens). Not only do I feel more comfortable soft boiling these eggs, they also taste fantastic, with bright orange yolks indicating their freshness. Fill a small sauce pan half full of water and bring it to a gentle boil. Use a spoon to lower your egg carefully into the water so it doesn’t hit the bottom and crack. Boil your egg for 4 to 6 minutes depending on your taste. At 4 minutes the whites are opaque but still soft and the yolk is very runny whereas at 6 minutes the whites are all solid and the yolk is a bit runny. When the egg is finished use a spoon to remove it from the pot and gently dunk it in some cold water (or run it under the tap) to stop the cooking. Transfer it to an egg cup and serve with salt. If you don’t have an egg cup, espresso cups do quite nicely (see photo above). The New York Times published a very important article this past Sunday about the state of meat inspection in the US. They put it on the front page, and it belongs there. The piece is real, old-fashioned investigative journalism, including lots of detail and citing multiple named sources. Kudos to author Michael Moss, who must have been working on this for months. In summary, the article tells the story of Stephanie Smith, a 22 year old children’s dance instructor, who became infected with E. coli after eating a frozen hamburger made by industrial food giant Cargill and suffered severe complications leaving her brain damaged and paralyzed from the waist down. The article traces the provenance of the pre-made hamburger patty she ate showing that the meat it contained came from four different sources. Moss’s piece also reveals a shoddy patchwork of food safety regulations, enforced only loosely by the US Department of Agriculture (USDA), which make it impossible for Cargill to determine which of the four sources was contaminated. As mentioned above, the meat in Ms. Smith’s burger came from four different sources. If these burgers were made from whole cuts of meat it would be much easier to track and test the meat. I, for one, would happily pay 30 cents more per pound for hamburger patties if it meant knowing that my risk of becoming infected with E. coli was significantly diminished. Yes, it would probably wind up being more than 30 cents, after retail markups, etc. but even if that meant that meat became less affordable to me, I see it as a good thing. One of the reasons most Americans currently eat too much meat damaging both their health and the environment is that it is too cheap. If it cost more, we would eat less. Trade secrets are exempt from the Freedom of Information Act, however, is it really the USDA’s job to protect those trade secrets when they cause severe illness and death among the population? In the article, Moss zeros in on the heart of the problem, pointing out that the USDA’s mission includes both food safety and promoting agricultural markets which causes inherent conflict of interest. It’s fine to have a government agency whose mission it is to promote American agricultural products but it shouldn’t be the same agency whose task it is to protect Americans from dangerous food processing techniques. Update: In this follow up article Michael Moss reports that Costco has come to an agreement which will allow it to test the beef trimmings it buys from Tyson for E. coli before the trimmings are mixed with those purchased from other sources. Costco is one of the few meat grinders who test the scraps before they are combined (as is recommended by the USDA!) and up until now Tyson refused to allow them to test, so they didn’t buy meat from them.